It can be a challenge deciding which contests, festivals, or programs to submit your project to. You likely sacrificed a lot to write your screenplay. You stayed up late most nights, skipped fun outings with friends, maybe even called in “sick” to work a few times because you knew you could get that scene written just right if you just had the time. 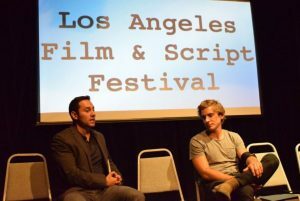 Consider the Los Angeles Film & Script Festival (LAFSF). It is a reasonably priced competition with a number of categories to win. The early bird deadline is July 17th, 2018. The entry fee is $40.The regular deadline is August 7th, 2018. Naturally, the price goes up. It maxes out at $60 on October 9th, 2018 for the final deadline. Pricing may vary depending on the category. Now accepting drama and comedy scripts, among several other categories, the Los Angeles Film & Script Festival (LAFSF) is a long-standing contest with excellent awards.